Today will be my last day on the slopes for this season, I pondered long and hard about where to go, I would have been happy with any of my local little Jura ski stations, but despite bountiful snow, they have all stayed firmly on schedule and already closed for the season. 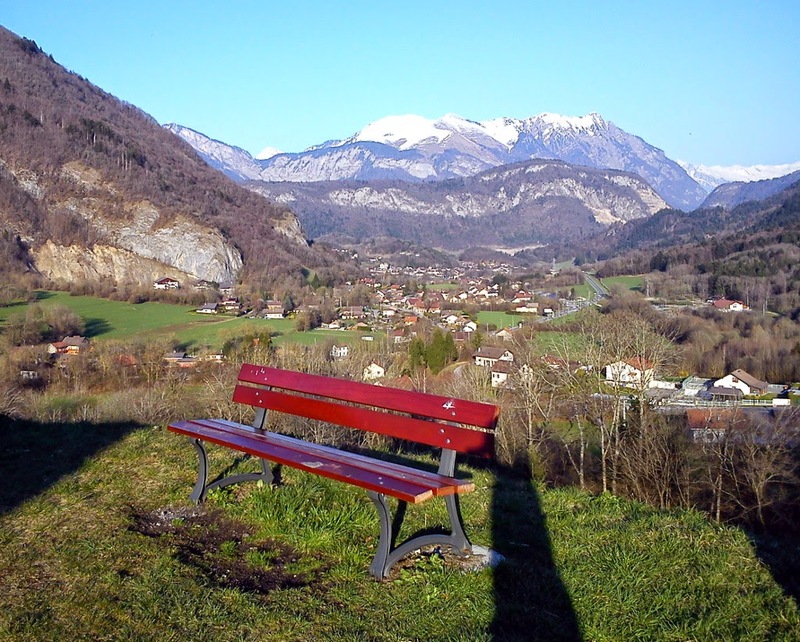 So instead I opted for the Grand Massif domain, easily accessed above the village of Morillon, in the charming Giffre valley, which has in so many ways become a home from home. I took my time getting over to Morillon and wasn't ready to ride till nearly 11:00, Thierry would not approve of such tardy behaviour. Yet there was still some iciness in the shaded runs, but it didn't last for long. Morillon was pretty much deserted, just a few clusters of school kids, the sun was shining, the snow softening and the visibility perfect. After so many rides this season where I was frustrated by poor visibility and slopes clogged with novice skiers fumbling around, this was my one day to really let rip in safety. As has been observed by my buddies, normally I err toward prudence and get overtaken a great deal; but today it was I who was zipping past the other snow users, carving giant arcs and daring myself to get the handlebars ever closer to the snow. The runs in this area are so familiar I don't need to consult the map any more. 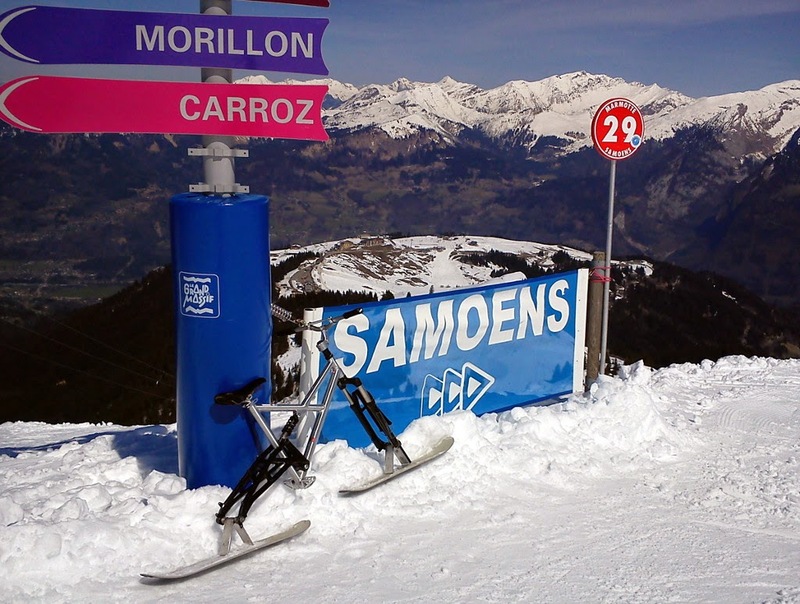 That said, I don't ever recall having skibiked the Chamois piste before, it had always appeared too steep for freestyle skibiking, but today in the post lunchtime heat I finally put pay to that myth too. What a perfect end to my tour, school is now out for the summer and there's nine months to wait till the start of the next season.